Chocolate is childhood for Betsy Mullins. 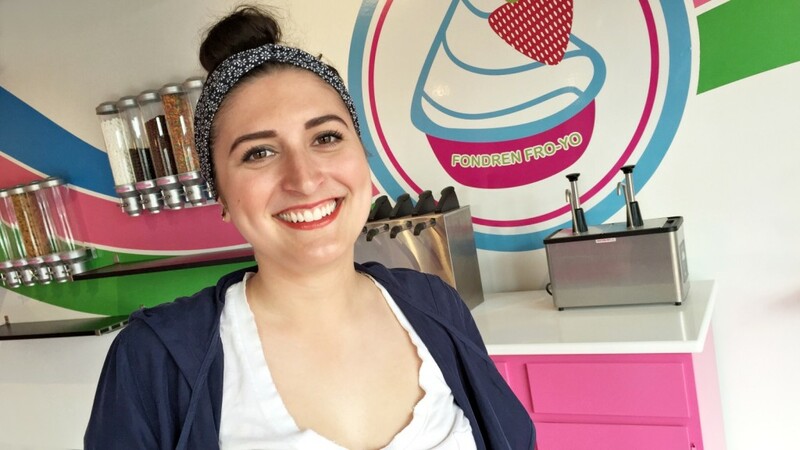 Mullins has entrenched herself in the “family business,” so to speak, as she begins her work as general manager of Fondren Fro-Yo, a frozen yogurt shop opening Wednesday in Fondren. It also built up her resume. Originally planned to open in November, Fondren Fro-Yo was delayed by Ritter’s projects at his GLO Design and Mullins’s culinary obligations, both slammed during the holidays. The time wasn’t wasted though: Mullins worked with Millie D’s Frozen Yogurt in Belhaven in the interim to learn the business (Ritter bought Millie D’s equipment when they closed late last year). Fondren Fro-Yo will be open Monday-Saturday, beginning Wednesday, February 3, from 11am-7pm. Once the weather warms more permanently, Mullins hopes to expand hours to 9pm and plans to be open on Sundays.